The joy of looking up... so pretty! 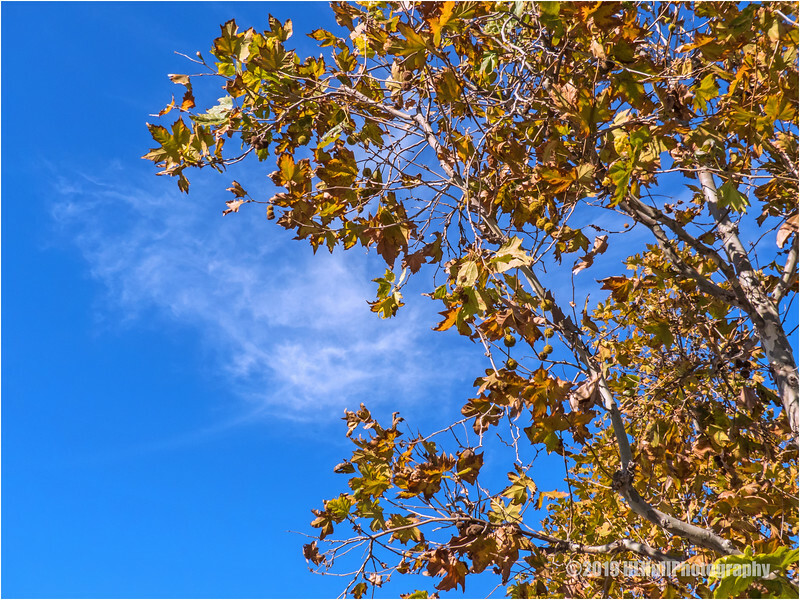 Looks like these leaves may hang on all winter at this rate--nice contrast with the sky. Lovely shot. It seems so odd to me to see last year's leaves still clinging into the new year - sycamore leaves, anyway. Oak leaves hanging on I'm used to. Really pretty colors in the leaves against that brilliant blue sky. Ditto Kevin's (KDP450's) comment - my sentiments exactly!